We are a leading Manufacturer of ribbon blender, double cone blenders, octagonal blenders, multi mill, mass mixers and rotocone vacuum paddle dryer from Hyderabad, India. The Ribbon Blender is an efficient and versatile blending machine for mixing of dry granules & Powders homogeneously. Approximately two third of the volume of the container of Ribbon Blender is filled to ensure proper mixing. The Ribbon Blender gives best result for mixing of dry powder & granules due to the design and shape of the mixing ribbon and product container. It can be used for Pharmaceutical, Food, Chemical and Cosmetic products etc. v Material should be charged from the top. There are port/ports provided on the top cover to charge the material as well as for air vent. One discharge valve provided at the bottom and at center of the container. The discharge height can be adjusted as per the requirement. Material gets discharged in the other container directly, so that material handling time for discharge is nil and the operation is dust free. The unit consists of one electrical motor, one warm reduction gear, belt drive between motor and gear, couple drive between gear to (ribbon) mixing stirrer. Container having four nos. of legs with discharge valve & top cover. Both ends of mixing shaft are sealed. The double cone blender is ideal for mixing soft powders of granules that degrade by attrition. It consists of two cone shaped sections with 45º slopes that prevent the material from sliding along the inner wall. In operation, the blender is loaded to a fill level of 50 to 60% of capacity, then tumbles and gently mixes so that the material spreads and folds over itself. The smooth transition area simplifies cleaning as there are no areas to trap particles and cross-contaminate batches. The cone sections are welded at their wide ends to a centre band, and the option is available for contra rotary baffles with mechanical seals at both ends for critical mixing applications. We hold expertise in providing an extensive range of Octagonal Blenders. 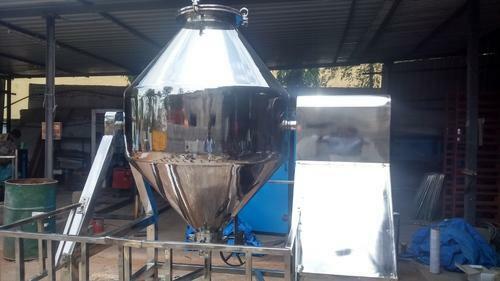 Used for pharmaceutical, food, chemical and cosmetic products, the offered blenders are manufactured using quality tested components and sophisticated technology in compliance with industry norms. So as to fulfil the requirements of our customers, these blenders are available in different sizes and designs. Apart from this, our valuable clients can avail these blenders from us at pocket friendly prices. In order to attain the maximum satisfaction of our esteemed clients, we are engaged in providing best-in-class Multi Mill. Our provided mill is precisely manufactured by our skilled professionals by using optimum quality components and cutting edge technology. Used for high speed granulating, pulverizing, mixing, shredding and chopping of a wide range of wet and dry materials, we offer this mill to our clients after testing it on different quality measures. With a precise understanding of the relevant industry, we introduce ourselves as the leading manufacturer and supplier of Mass Mixers. 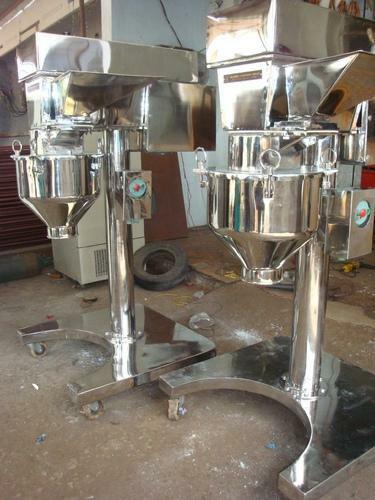 Suitable for tablet granulation process, these mixers are manufactured by our adroit professionals using the latest technology and excellent quality components in line with industry norms. Rendering smooth performance, these mixers are available in diversified designs and sizes to meet different needs of our clients. 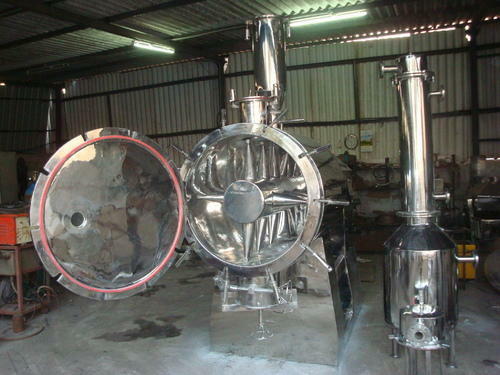 We are remarkable entity, engaged in offering high quality Rotenone Vacuum Dryer. 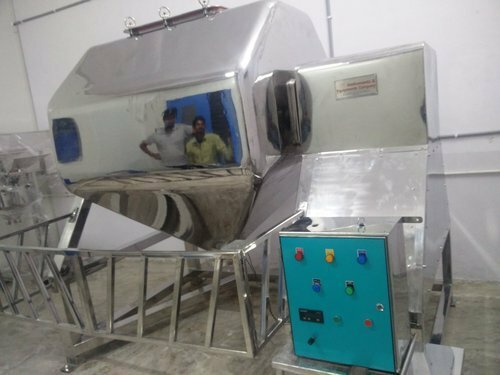 The offered dryer is a double conical vessel with an external jacket, manufactured by our proficient professionals from superior quality components and modern technology in sync with industry norms. Provided dryer is tested on varied quality measures so as to ensure its quality. Apart from this, offered dryer is available in variegated designs and sizes. Our organization has successfully expanded its business in market owing to the offered elevated quality array of Coating Pan. 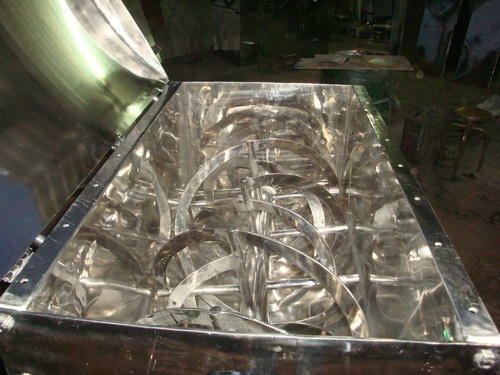 Our offered pan is manufactured using superior quality components and innovative techniques in line with industry norms. 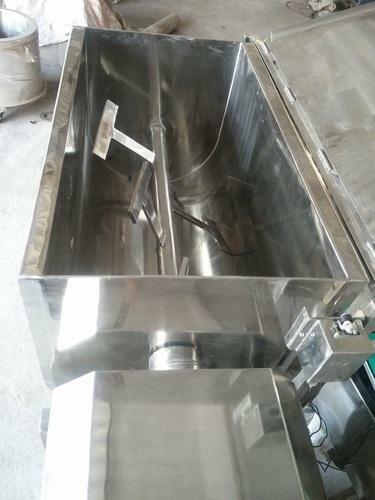 Used for sugar coating and film coating of tablets, granules, food products and confectionery, we provide this pan in various sizes and designs as per the needs of our customers. HOT AIR BLOWER with temperature controller. FLP motors and FLP push button station. 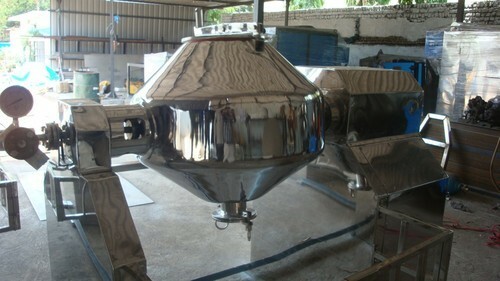 Looking for “Pharma Process Machinery”?